This lift kit will fit any 2009-2010 Hummer H3T. 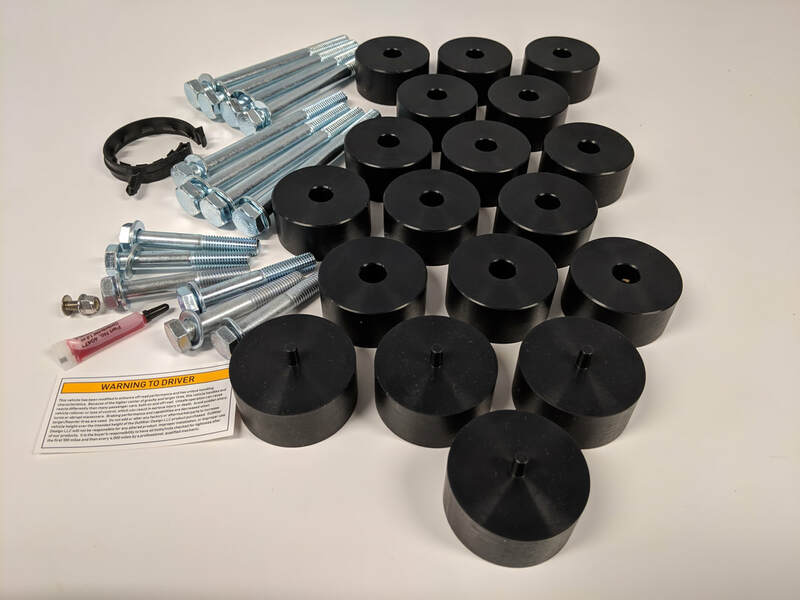 This kit will allow clearance for 37 inch tires with minor trimming in the wheel wells. If you plan on keeping your factory front bumper, we recommend our 1/2" Front Bumper Spacer Kit as well.